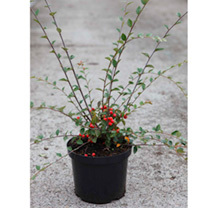 Cotoneaster franchetii is a semi-evergreen woody shrub, with oval to oblong grey-green leaves about 4cm in length, and small, white flowers blushed with pink in the summer months, followed by round, orange-red berries. 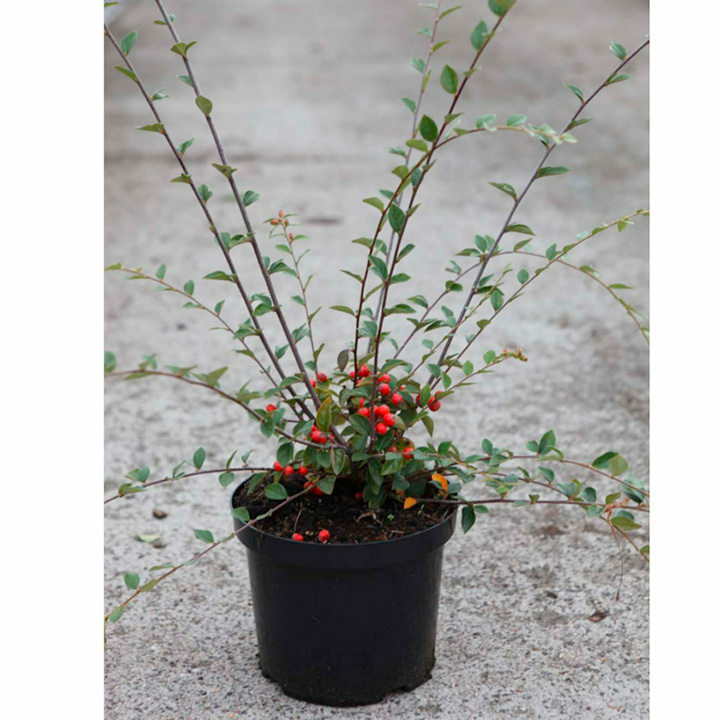 A versatile garden and municipal plant that can be used for hedging - its arching stems, flowers and fruit making an all round good looking plant for the border or screening. Tolerant of strong winds, poor soil, deep shade and coastal salt. Best planted in full sun or partial shade in well-drained soil. February is the time to prune these to shape but majority of pruning can be done after they flower. Ideal for beds and borders, patio pots and containers. Attractive to birds. Prefers full sun or partial shade.